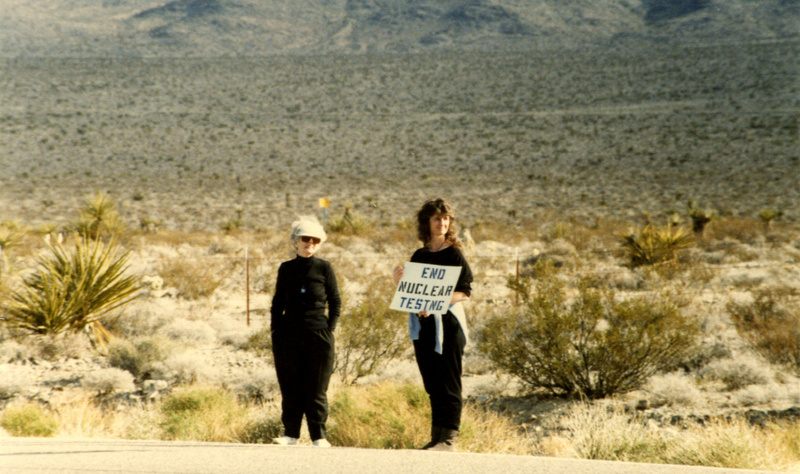 “I began my career as an activist in 1979 when I realized the extent of the danger of nuclear war and became involved with the Nuclear Weapons Freeze Campaign. One morning I was at home by myself, cleaning house while I listened to a tape of Helen Caldecott talking about the psychological effects of nuclear war on the survivors of Hiroshima and Nagasaki, known as hibakusha. Listening to the stories about what these people had suffered over the years, I imagined my own family going through what they had gone through and I began to weep. Thank you, God, for this day, for the beauty of the earth, for the “yes” of life in the midst of the systems of anti-life, which have taken your world captive and are in process of “undoing creation.” May we never give up on the future. May we never hide or run away from the pain of life, except in your presence and your peace. Protect us from denial, that friend of avoidance and enemy of truth, which pretends to shield us from fear, communal guilt, and that tug of responsibility for the world. May the strong heart of Jesus, who wept over Jerusalem, fill us with courage to feel and respond to the suffering of our time. Fill us with your Spirit, that the winds of truth may blow and the flames of love may burn to bring about a great awakening of people of every faith and philosophical tradition, coming together as one, each doing our part to create the new world that is possible. For you, O God of many names, are the Great Mystery, Ground of Being, Source of life and love, in whom we live and move and have our being. Surely your will is abundant life, even in the face of death. Your will is the reign of mercy and compassion in this world.